Postwar Japan-Korea relations were constructed upon realist thinking; however, recent bilateral relations have been taken over by controversies over values, while North Korea’s threat is heightening and its situation is increasingly unpredictable. From a realist point of view, one should be highly deliberate in bringing in values or morals into international relations. 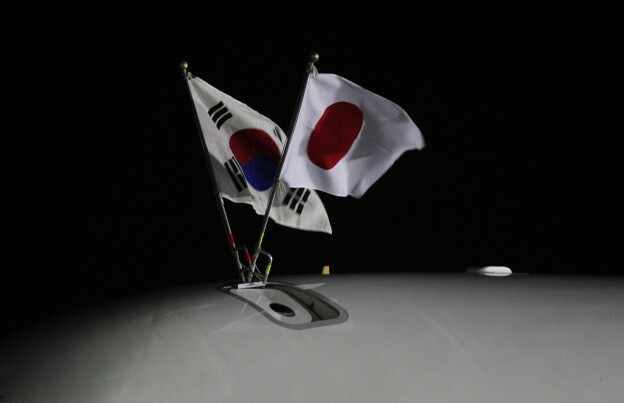 Neither Japan nor Korea is likely to offer a compromise approach. Is realism dying in Japan-Korea relations? In recent-day Korea, the “comfort women” issue has been redefined as a violation of “universal women’s human rights.” This claim is not necessarily inherent to the current Park Geun-hye administration. The former president Lee Myung-bak, immediately after his surprising landing on Takeshima/Dokdo, made a speech on National Liberation Day in 2012, in which he referred to “women’s human rights under war time.” It was presumably due to the decision of the Constitutional Court in August 2011 that regarded diplomatic failure to act on the “comfort women” issue as unconstitutional. By labeling the issue as “universal” and “women’s human rights under war time,” the two successive conservative administrations have attempted to bring the international community to Korea’s side. Japan must acknowledge that Korea has largely succeeded in winning the sympathy of that community. The majority of Japanese are perplexed to learn of the decision by the Korean judicial authorities, which seems contradictory to the bilateral agreement in 1965 stipulating that all of the claims under Japanese colonial rule were “completely and finally” settled. In Japanese eyes, it seems that Korea is attempting to diplomatically resolve problems that cannot be resolved diplomatically. Moreover, by South Korea’s assertions, Japan is accused in the UN Human Rights Council as North Korea was there for violations of human rights. While some Japanese are embarrassed to be so accused for Japan’s past wartime acts on the basis of current peace time values, they feel helpless, unable to come up with an alternative set of values to counter Korea’s assertions. Korea’s assertion of “universality,” however, should by no means be free from doubt. Ever since Korea normalized relations with China in 1992, it has seldom questioned China’s human rights records. Rather than pushing for the “universality of human rights,” Korea’s handling of its relationship with China is based on realist thinking in quest of Korea’s survival and its national interest. Understandably, China has no intention to overturn the status quo on the divided Korean Peninsula by assisting in the North’s armed aggression or pressuring the North in a destabilizing manner. Nor does China have any intention to attack South Korea over the head of North Korea. This leads to South Korea’s diplomatic posture that it can develop bilateral relations with China while deepening its alliance with the United States insofar as the alliance can effectively deter North Korea’s armed aggression. The US-China collusion over North Korea’s denuclearization forged the US-China-North Korea Tripartite talks in April 2003, giving birth to the Six-Party Talks in August of the same year. Similarly, South Korea could boost its influence by riding on the favorable relationship between the United States and China. A “local US-China G2” may be in sight or would be eagerly facilitated in Seoul despite the two major powers’ disputes over other issues in East Asia. Taking such a diplomatic posture, Korea is reluctant to take a regional role in security for fear that it might antagonize China. Park Cheol Hee correctly points out that some Japanese conservatives and media tend to put Korea and China into the same basket as one anti-Japanese camp, despite the enormous differences between the two. However, some Japanese conservatives suspect that South Korea’s hidden intention is to demonize Japan by deepening its relations with China. If you take this view, accusing Japan of unconscionable wartime acts while overlooking China’s serious human rights violations looks like blatant double standards. Park’s views are very encouraging that Korea has no choice but to stand with the United States and Japan, although one wonders how well this view represents the thinking of Korea’s policy-making circle. Still, in his view, the view of some Korean policymakers that Japan should come to terms with its past before it exercises its right of collective self-defense is not consistent. Korea’s security is, in essence, under the protection of US forces in Japan as well as those in Korea, and its security is essential to that of Japan. From this standpoint, the issue of Japan exercising its right of collective self-defense should be discussed in the context of how effectively Japan should assist the deployment of US forces in Korea, not in the context of Japan-Korea bilateral relations. Disputes on history may happen, but they should not obscure the essence of security issues. Overindulgence in history should not be tolerated for the sake of the security of both countries.